Smile designs and smile makeovers usually involve combining cosmetic, whitening and/or orthodontic treatment and bite adjustments. 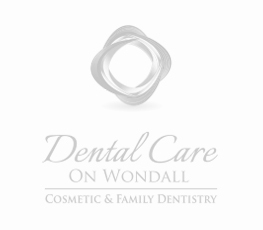 An integral part of a Smile Makeover process is the preview of potential results you evaluate before treatment begins. Cosmetic dentists incorporate a variety of dental technologies to show you the changes that you can expect to see in your smile. For example, during your oral health evaluation for veneers and crowns, your cosmetic dentist may create a wax model mockup of temporary teeth to accurately communicate the requirements of your procedure to the dental lab technician. Temporaries and wax mockups also offer you a preview of the expected outcome to ensure that you are comfortable with the proposed treatment plan. Dental Imaging Software: Imaging technologies offer a preview of your smile makeover results. Your dentist may use imaging technology to communicate the specifications for your procedure to the dental lab technician or any other dental professionals involved in your treatment plan. However, a digital image only gives you an idea of what you might look like when the makeover is complete; it may not fully match your final results. Dental Study Models: Your dentist will take an impression of your teeth and fill it with plaster to form an exact model of your teeth. The plaster can then be reshaped by trimming away excess areas or enlarging areas that require more volume. Dentists use study models to show you every aspect of the changes you can expect to see with your makeover. Dental lab technicians also use study models as guides for fabricating makeover materials like crowns or veneers.